I would think that Swords Art Online was conceived back in the days when MMO RPGs were at a height that people might think the genre may even last forever. But lately, and not just lately, but in the last few years, we have seen a decline in the interest of this genre. Gun Gale Online, on the other hand, feels surprisingly relevant, given the light novels started in 2014 before Fortnite and PUBG became big hits, anticipating the movement of the FPS shooting genre into "games as a service" model, which is another interpretation of quasi-MMO. I look at GGO and thought, you know, this is a kind of game people may have real interest to play. Squad Jam is interesting --- a TEAM battle royale mode. Watching every episode, I can't help breaking out a smile in my face. You know I can actually play this. The series is so coincidentally timed just as PUBG and Fortnite are breaking out into massive hits. 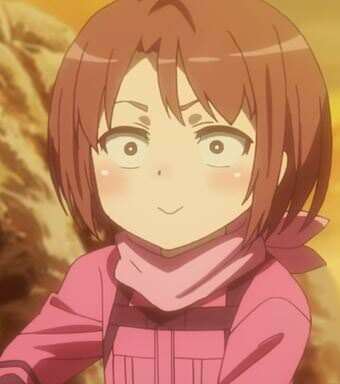 I am considering of watching GGO, may give it a shot pretty soon. I wasn't sure about it when I first heard about it. Growing on me though. Quite enjoyed the last few episodes. A little warning: the people making this show dropped the ball somewhat in the latest 5th episode. They crammed it full of action, because I'm guessing they're trying to make up for barely any action in past few episodes, but it just feels a bit ham fisted and heavy handed. I'm not going into spoilers, but it was bit of a let down TBH. Still quite a fun episode to watch... but I hope they don't do something like it again for the rest of the show. The more I think of it, the more I like to see something like Squad Jam in a real game. You don't need the VR stuff, but all the elements of it --- a Team Battle Royale based on teams up to 6 members, highly customizable avatars, whether you want to optimize them for toughness, accuracy, agility and so on --- that can really work. Instead of shrinking the arena, your squad goes out to hunt down the other squads, using sensors to pick them up. Every character in the show seems like the opposite of their avatars; LLENN is a loli but her RL is super model tall; that elite squad of ugly tough looking women are really a bunch of middle schoolers; M is huge and ugly but his RL is a young and handsome dude. Definitely among the tops of my watch list this season (Hinamatsuri tops of them all, along with Hisomaso). The author of the video even speculates there might be an agenda with the anime, like it might be an advertisement for a real game to come. The only problem I really had with SAO was there seemed no reason to watch the show after they got out the game. It just lost any real impact after that. Nothing could come close to surviving in the death game. After the death game we also really got to learn how Fing annoying Kiroto (sp?) is. This is a refreshing show in comparison. More interesting characters, and a fresh plot that is interesting with out having to be stuck in a death game. Ehhh... I feel like the makers have sort of dropped the ball again with latest few episodes. I thought the whole "death game" thing was done and over with... but now we have a character who is actually obsessed by it, especially because that character missed it when the whole original SAO was going on. I feel like it's a ham fisted way to make a tie-in to the original series. Does this show really need something like that? I wonder. The character in question actually never sounded like a deranged person, not even a bit before, so why shoe-horn it in now? The show is still enjoyable to watch overall, at least. I just watched the first episode a bit earlier today. It was interesting, and I enjoyed it. I'm a huge fan of Sword Art Online, so I'll give this show a chance too. Oh wow... the latest episode, Episode #8, was a super awesome episode in my opinion. Now, this is the kind of thing, and action, that I wanted out of this show from the start. Short, yet tense and kick-[edited] action one after another, and it ain't over yet! LOL! I feel like this episode alone redeems any minor slip up's that this show has made previously. Finally, I feel like we start to see the meat and bone of the action that this show was meant to show. I can't wait for the next episode-- hopefully it turns out to be a treat, just like this one is, and that it's kept up till the very last episode. I feel like LLENN has a real passion of the hunt and the overkill, and a true blood thirsty killer instinct, like in a previous episode she unloads a full clip of her P90 point blank on her target. 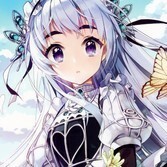 She's not a Mary Sue goody 2 shoe like Kirito whose purpose in playing the game is like some noble instinct like to have fun, be with friends and save the world. She's there to kill, kill, and kill. Again, the show emphasizes how each avatar is the total opposite of their RL counterparts, seeking to balance and complete what they lacked and wished in RL. and when he finishes ep 7 and has to wait a week. 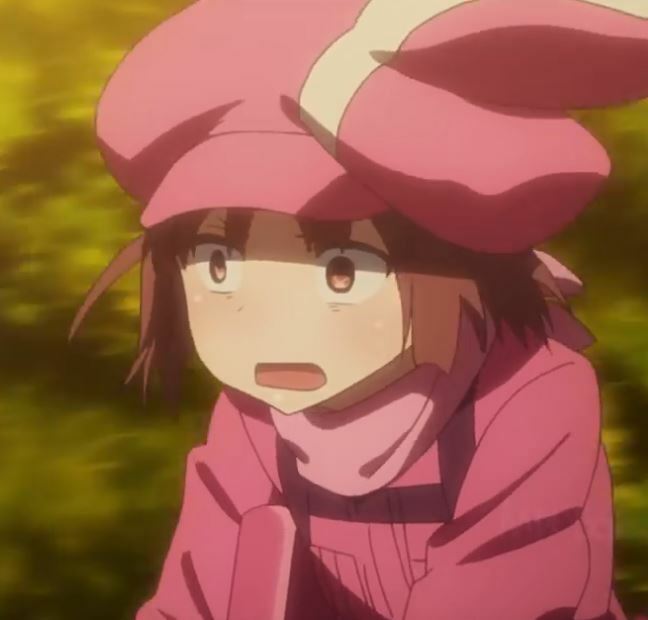 whoever animates LLENN's expressions is having a lot of fun. I hope the build a Nerve Gear soon even if we do get trapped in the game lol. I really enjoyed SAO, and then wayched Log Horizon which was also good. Currently on Noragami at the moment. Hehe, Crunchyroll actually uploaded two of the best scenes from what I consider as the one of best episodes of this show so far. I really love action scenes like this; short, sweet, and exciting. Right in the CROTCH, lol. Pito wasn't able to participate in the first Squad Jam due to a scheduling conflict. Elsa Kanzaki had a concert that day. Pito sponsored Squad Jam II. Elsa Kanzaki would have enough resources for this. Elsa has been mentioned several times in the series, including a fan letter from Llenn. You don't waste that much time and story on a character and then do nothing with them. In the fan letter, Llenn mentioned wanting to meet Elsa. 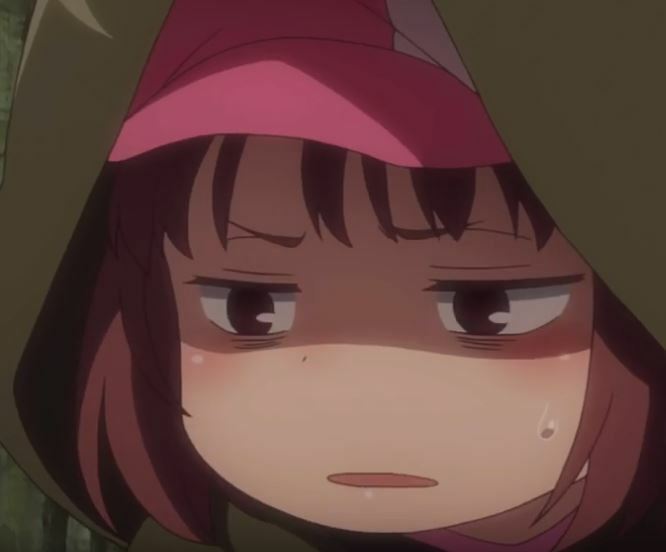 If Llenn kills Pito in SJ2, they agreed to meet in real life, which ties together quite nicely. That is already known from the light novel series. The biggest hint should have been the fan letter as it gave M Llenn's real name and address. M is Elsa's manager. They have an interesting history as well. Well, that explains how M-san was able to find Llenn in real life and plead to her to enter the second Squad Jam. Still, it wasn't like it was too secretive or very subtle... rather quite obvious to any keen eyes, if you ask me. What I find iffy is how much psychopathic Elsa really seems to be like. M-san made it sound like she's a real nut case or something. <---Huge SAO fan! I am off to check it out, thank you for the heads up. The 9th ep is very "funny-", i am impatient to watch next episode. 9th episode lived up to its name nicely. Why "pink" is the best color, lol.